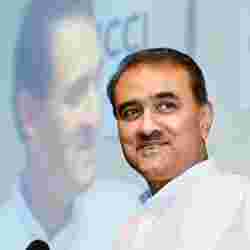 A senior executive continues to work at the low-cost subsidiary of Air India, though aviation minister Praful Patel told Parliament last week that the board of the state-owned carrier has cancelled his appointment. Pawan Arora’s appointment as chief operating officer of Air India Express was cancelled by the board on 18 November, Mint had reported the next day, quoting airline officials who did not want to be identified. “The board of Air India has reviewed the appointment of COO and decided to cancel it," Patel said in Parliament on 23 November, replying to a question on “resentment over appointment of COO of AI Express". An Air India spokesman said: “Mr Arora’s appointment has not been terminated as of date." Mint’s 19 November report said the appointment of Stefan Sukumar as Air India’s chief training officer has also been put under review. They signed off on the order, reviewed by Mint, as CEO and chief training officer of “Air India Pvt. Ltd", causing an uproar at the airline, said an official requesting anonymity. The company’s name is Air India Ltd.
“It showed they have a foresight about the company perhaps, which we are not aware of," the airline official said. “The word ‘Pvt.’ has now been removed (from the order)," he said later on Monday. Asked if employees under scrutiny are allowed to issue office orders, the airline spokesman said: “Yes, official transactions by any employee are always within the rules of the company." An analyst said the ministry and Air India being at variance over such key issues does not bode well for the airline. “It looks like they (airline management) are a law unto themselves," said Mohan Ranganathan, a Chennai-based aviation safety expert. “They are running it like a banana republic." Air India, which has amassed heavy losses and debt in recent years, has been restructuring its management as part of a series of measures to improve finances. But the airline continues to be bogged down by operational problems. The shift of domestic operations to New Delhi airport’s new Terminal 3 (T3) this month was widely criticized as chaotic but no one has been held accountable. “The transition to T3 has progressed well; and there has been no lapses," the spokesman said. Air India was merged with Indian Airlines in 2007, and the company was named National Aviation Co. of India Ltd. The name was changed to Air India Ltd this month. “Our company will now be known as Air India and not as Nacil," chairman Arvind Jadhav said in a letter to employees on 13 November. “Air India is a brand which has been on the aviation scene nationally and internationally for almost eight decades. It is, therefore, a global brand more recognizable in terms of recall. Hence our corporate name is in sync with our global identity and aspirations."